The next collection contractor must be in place and ready to start by January 1, 2021, if not before. Four bids were received on January 30, 2019, and on April 9, 2019, Mayor Stothert recommended to the City Council that the bid from FCC Environmental be selected. The next solid waste contract must be in place by January 1, 2021, when the current contract expires. The City can pursue starting the contract early if the contractor is able to do so. Why so long in advance? The company that wins the bid for collection will need more than a year to assemble all of the equipment needed for collection. This will include purchasing up to 500,000 carts which could cost up to $25 million. Up to 100 collection trucks will be needed at $350,000 each for the Compressed Natural Gas (CNG) vehicles Omaha will be looking for, so there is another $35 million. The resources linked to this page are the guiding documents and actions taken by the City in the process of evaluating what is needed in the next solid waste contract. The Mayor’s recommendation is introduced as ordinance 41801, found on page 13 as agenda item 29. The Mayor’s two page introductory letter, three page ordinance, and FCC’s 293 bid submittal. 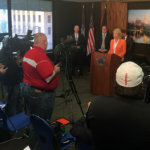 At a 1:15pm news conference on April 9, 2019, Mayor Stothert announced the recommendation she is forwarding to the City Council for approval. The Mayor accepted the advice of the working group that reviewed all four bids that were received. The working group selected FCC as the collection company, and the two cart system as the type of collection to provide. Additional information is in the documents linked below. Bids from four companies were received and opened at 11:00am on January 30, 2019. The City will now review the bids and a recommendation will be made to the Mayor of the lowest and best responsible bid. The bids were let on October 24, 2018. A pre-bid meeting for all potential bidders was held on November 9, 2018. Questions were received from bidders and five contract addenda were issued. 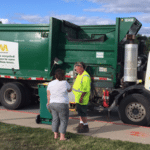 Because of Waste Management’s difficulty in recruiting an adequate number of drivers during 2015 and 2016, the Mayor and City Council determined that some important aspects of solid waste collection needed to be studied prior to the next contract. The Public Works Department hired SCS Engineers to conduct two studies and a public opinion survey. The goal of this study was to give the City a reasonable idea of what options might be available or need to be evaluated for the next solid waste contract. This study thoroughly examined two local communities and 11 regional cities of comparable size to Omaha. The largest and most in-depth of the studies. This study was to quantify the economic and environmental aspects of dealing with yardwaste collection and disposal in a variety of ways. Predominantly there are two scenarios that quantify the economic and environmental aspects and three additional variation scenarios considered. To gauge the public’s satisfaction with the current collection contract and assess the public’s willingness to accept change, a telephone survey was conducted. The public opinion survey contacted a statistically accurate sample of 550 households across the city. In January, 2017, SCS Engineers presented the findings of the two studies and the public opinion survey to the City Council. On March 6, 2018, SCS Engineers and Public Works briefed the Mayor and Council regarding development of the Request for Bid. This briefing document was provided to the media at a news conference that same day. 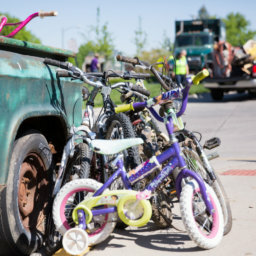 Knowing of the City’s interest in changing to a cart collection system in the next contract, Waste Management offered to provide the equipment so Omaha could see first hand how a cart collection system with automated side load trucks would work. This offer was made without any financial compensation to Waste Management and no commitment by the City. 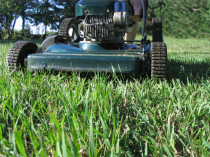 The City and Waste Management agreed on areas of 500 homes in each of the collection days making a total of 2,500 homes in the automated collection pilot. The areas selected represent the vast majority of streets and situations that the contractor would encounter when collecting the whole city. 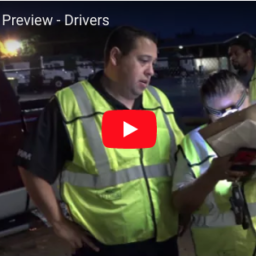 Videos of the Automated Side Load Pilot in Omaha are available on YouTube, click here. After using carts for collection and experiencing automated collection for five months, a telephone survey was conducted. The public opinion survey contacted a statistically accurate sample of 200 households within the pilot areas. During the pilot, residents in the pilot areas were directed to this website with information specifically for them. The pilot website is archived as it was when the pilot finished. The information on the pilot webpage only applied to the pilot and does not apply to any current collection. The Mayor’s hotline is collecting input from residents regarding the next solid waste collection contract. If you have comments, please contact the Mayor’s hotline either by phone at 402-444-5555, or by e-mail at hotline@cityofomaha.org. SCS Engineers has been hired to assist the City through the process of developing, and writing the new contract (Request for Bid). This winter will be used to develop and write the bid document. Then in the early spring it will be available for the potential bidders. Bid opening, evaluation, selection, and approval by the City Council is expected by the end of 2018. Omaha World-Herald story answering the Frequently Asked Questions of the proposal. The Omaha World-Herald asked readers what they wanted to know about the new collection contract. Here’s the answers. Published on 04/15/2019. WasteDive story about the contract recommendation going to council. WasteDive is a solid waste industry trade journal. Story released on 04/10/2019. KETV story about the contract recommendation going to council. KMTV story about the contract recommendation going to council. KPTM story about the contract recommendation going to council. WOWT story about the contract recommendation going to council. Omaha World-Herald article about the contract recommendation going to council. KFAB story about the contract recommendation going to council. WasteDive story about the bids Omaha received. WasteDive is a solid waste industry trade journal. Story released on 02/04/2019. Waste Today story about the bids Omaha received. Waste Today is a solid waste industry trade journal. Story released on 02/04/2019. KPTM story from the bid opening. Omaha World-Herald story from the bid opening. WOWT follow up story from the bid opening. WOWT story from the bid opening. KMTV story from the bid opening. KETV story from the bid opening. WOWT story from the news conference about putting the contract out for bid. KETV story from the news conference about putting the contract out for bid. KMTV story from the news conference about putting the contract out for bid. 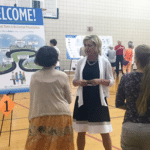 WOWT story from Mayor’s Town Hall meeting about the progress in putting the contract out for bid. KETV story about the progress in putting the contract out for bid. Omaha World-Herald story about the Council’s desire for unlimited yardwaste. Recycling Today article about the contract progress news conference. Recycling Today is an industry trade journal. Story released on 03/20/2018. Waste 360 Story about the contract progress news conference, taken from the Omaha World-Herald. Waste 360 is a solid waste industry trade journal/news compiler. Story released on 03/13/2018. Omaha World-Herald story about the contract comparing to neighboring communities. WOWT story about the contract progress news conference. Waste Dive Story about the contract progress news conference. Waste Dive is a solid waste industry trade journal/news compiler. Story released on 03/07/2018. KETV story about the contract progress news conference. Omaha World-Herald story about the contract progress news conference. Omaha World-Herald/The Bottom Line 10-minutes with the Mayor. KETV Story about the progress on the contract. Omaha World-Herald article about City Council actions. It includes approving a contract with SCS Engineers to assist in writing the collection contract bid and the bid process. Omaha World-Herald article about the progress and timeline for the next solid waste contract. Photos from the Open Houses. KMTV Coverage of the first Open Houses. KPTM Coverage of the first Open Houses. KMTV Notice about the Open Houses. Keep Omaha Beautiful Inc. e-mail blast about the Open Houses. City of Omaha e-mail blast about the Open Houses. City of Omaha e-mail blast about the new issue of WASTELINE. Omaha World-Herald article and sidebar about the Open House meetings. Omaha World-Herald article about the study. WOWT Report of the Study. KMTV Report of the Study. KETV Report of the Study. WOWT Report of the Post Pilot Survey. Omaha World-Herald article about Yardwaste Collection and the Post Pilot Survey. Mayor’s website with information about the study. 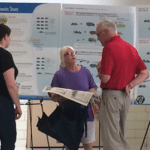 The questions we have regularly heard at the Open Houses and on the solid waste hotline. 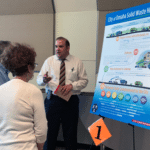 This posterboard gives a quick history of Omaha solid waste since 2004. It is a large format poster, 3 feet by 4 feet, that will not print well on a typical home printer. These are large format posters, 3 feet by 4 feet, that will not print well on a typical home printer. The article on page 1 discusses the components of the bid and page 3 is questions and answers about how collections will be handled in the new contract. The article on page 1 discusses the current status of developing the next solid waste contract. July, 2017, issue of WASTELINEThe entire issue is dedicated to the studies, public opinion surveys and pilot that have been conducted to learn more in preparation for a new solid waste contract. The article on page 1 discusses the study and the pilot that was about to be launched. Four open houses will help introduce the public to the contract options being looked at and the type of equipment being considered. It will be an opportunity to get clarification of the contract process. At the open houses, eight posters will present the highlights of what has been studied and the information collected. A Public Works staff member or an SCS Engineers employee will be stationed at each poster board to answer questions. You may click on the icon next to each study or survey listed below to review the posters before the open house. Be aware that these are large format, 3 feet by 4 feet poster boards and will not reproduce well on most home printers. The studies and information collected was also synopsized in the July 2017 issue of WASTELINE. You may click on the W icon next to each study or survey listed below to read the WASTELINE article. This will be a single article, and not the full issue of WASTELINE. To review the complete issue, click here. Be aware that WASTELINE is a large format publication and will not reproduce well on a home printer. Come at any time during the open house. All open houses will provide the same information. A survey/comment card will be distributed at each open house. We have sample carts at the Omaha Home & Garden Expo. You may come “kick the tires” and try them out and ask questions about the next contract. The Expo is February 8, 9, 10, & 11, 2018, at the CenturyLink Center. For more info about the show, click here.